* March 23rd, 2019... Willow Springs, IL: Journey back in time for our seventh annual spring version of Paleozoic Trail Runs - Permian Spring along forested, unpaved paths of the Palos Trail System - Region 6, featuring events of 50 kilometers and 25 kilometers. Registration is open until March 22nd -or- when 200 available spots are filled (whichever comes first). Can't join us on race day? No problem... we'll be updating runner progress through our Webcast and Results, which we'll be posting in near real-time. Paleozoic Trail Runs... Finish or Fossilize! * March 16th, 2019... McNabb, IL: Get your marathon-buds together and join forces for "A Great Team Event," as the Starved Rock Runners present 26.2 BY 5 TEAM MARATHON! This second-year race features team members concurrently covering the 5.24-mile scenic racecourse near Putnam Country Junior High School. Registration is open until 6:00 pm, Friday (race eve). Can't join us on race day? No problem... we'll be updating runner progress through our Webcast and Results, which we'll be posting in near real-time. * January 13th, 2019... Chicago, IL: Get your winter-teammates, grab your racing shoes/spikes, and join us for Winter Challenge Cross Country II racing over the tree-lined groves of Caldwell Woods and Bunker Hill forest preserves. Our second annual race features event distances of 5 kilometers, 15 kilometers, and our Gratuitous Six-Hour Run. Registration is open until 6:00 pm, Saturday (race eve). Can't join us on race day? No problem... we'll be updating runner progress through our Webcast and Results, which we'll be posting in near real-time. Click for our Run Report with photos of race day. Cross country... the best of all human endeavors! Your patience is requested as the rush for registration can unduly stress web services. We've implemented a number of changes to relieve congestion and improve the registration process including increasing capacity for all three events. However, if you are unable to complete your registration when the time comes, don't panic! If you're not able to register due to processing delays, simply email the Race Director IMMEDIATELY and you'll be guaranteed an entry. Once event capacities are met, we cannot accept additional entries. Check out our Ice Age Trail 50 Group for galleries of photo albums as posted by John Zinzow (ultrarunner and past RD of IAT 50). * November 24th, 2018... Lindenhurst, IL: They're racing the roads in and around Millennium Park for Sharon Makes Us Run 5k. Check out Race Results which we'll be posting in near real-time. Race start is 11:30 am. This race is a celebration of Dr. Sharon B Gray's life, and proceeds will be directed to her favorite charities. * November 11th, 2018... Evanston, IL: They're sharpening spikes and taking to the grass at Canal Shores Golf Course for races of the Illinois Club Cross Country Championship, as hosted by the Evanston Running Club, and directed by John Hennelly. Events of 5-kilometer Women's Masters, Men's Masters, Women's Open, Men's Open, and All-Comers will be contested with team bragging rights on the line. Check out Race Results, which include overall individual, and team scoring. * November 10th, 2018... Palos Park, IL: Journey back in time for our sixth annual fall version of Paleozoic Trail Runs - Ordovician Fall along forested, unpaved paths of the Sag Valley Trail System - Region 7, featuring events of 50 kilometers and 25 kilometers. Registration is open until November 9th -or- when 200 available spots are filled (whichever comes first). Can't join us on race day? No problem... we'll be updating runner progress through our Webcast and Results, which we'll be posting in near real-time. Click for our Run Report, complete with action photos! Paleozoic Trail Runs... Finish or Fossilize! * November 3rd, 2018... Palatine, IL: It's the second annual running of Pairing up to Beat Lung Cancer 5K/1Mile Run/Walk, directed by Juli and Valdis Aistars. Check out Race Results which we'll be posting in near real-time. The 5K race starts at 8:30 am near the Midtown Athletic Club. In addition to overall awards, runners may "pair up" with a teammate to compete within team categories! * October 20th, 2018... Elmwood Park, IL: It's race morning for the 2018 IHSA 2A Boys and Girls Cross Country Regional Meet on the campus of Elmwood Park High School. Check out Race Results which we'll be posting in near real-time. Racing starts at 9:00 am CDT. * October 13th, 2018... Elmwood Park, IL: It's race morning for the 2018 Metro Suburban Conference – Blue/Red Divisions – Cross Country Championship on the campus of Elmwood Park High School. Check out Race Results which we'll be posting in near real-time. Racing starts at 9:00 am CDT. * October 6th, 2018... Elmwood Park, IL: It's race morning for the 29th Annual Elmwood Park Cross Country Tiger Invite on the campus of Elmwood Park High School. Check out Race Results which we'll be posting in near real-time. Racing starts at 9:00 am CDT. * September 23rd, 2018... Arlington Heights, IL: It's race time at Arlington International Racecourse for the annual Starry Night 5K charity run. The evening will feature a 5-Km run, and 1-mile walk with its common finish on the racetrack, broadcast on the jumbotron! Fundraising to benefit the Pediatric Brain Tumor Foundation with post-race activities of a lantern lighting and local entertainment. Check out Results, which we'll be posting in near real-time from the scorer's booth, trackside at the finish line. * September 15th, 2018... Chicago, IL: They're racing in Portage Park in the inaugural Victory Run 5K. Check out Race Results which we'll be posting in near real-time. Race start is 8:00 am, near the northeast corner of Portage Park. * September 15th, 2018... Chicago, IL: It's race morning for the annual Prosser Cross Country Invitational hosted by Prosser Career Academy on the racecourse of Hanson Park. Check out Race Results which we'll be posting in near real-time. Event racing starts at 8:30 am CDT. * September 8th, 2018... Morton Grove, IL: Join up for primordial running, through forested trail and over green fields, full of fun & adventure but mostly void of pavement at our 5th Annual Terra Sans Pave - Linne Woods, near the the North Branch Trail system of the Forest Preserve District of Cook County. Our fourth-year race features traditional event distances of 4-Kilometer, 8-Kilometer, and our Big Lizard 10-Mile runs. Returning for 2018... our Terathlon 8-Hour option for ultra-trail runners. Registration is open until noon, on September 7th. Can't join us on race day? No problem... we'll be updating runner progress through our Webcast and Results, which we'll be posting in near real-time. Terra Sans Pave... trail running bliss! * September 1st - 2nd, 2018... Lapham Peak State Park, WI: It's race weekend for the Badgerland Striders 24-12-6 Hour Runs featuring events of 24-hour solo, 12-hour solo, 6-hour solo on 1-mile loop. Keep up with the action and track your favorite runners by clicking into our Race Webcast where we'll be updating checkpoints as participants circle their trail loop. Events begin at 8:00 am on Saturday, and we'll post Results when "the clock ticks down to zero" for each distance. * August 22nd, 2018... Elmwood Park, IL: It's the 4th Annual Elmwood Park Cross Country Trial on the Trail. Check out Race Results which we'll be posting in near real-time! * July 25th, 2018... Norwood Park, IL: It's our Seventh Annual Chicago Full Moon Run 5-Km and 1-Mile Lunar Orbit Run/Walk. Yep... we'll be racing in the streets under the full moon out among cicadas, crickets, and other creatures of the night. Our racecourse has been described as "fast," and "the most interesting 5-km in the city." Race time is just before sunset and the entire course will be illuminated by the full moon and city street lights. For 2018 we're offering a prize purse of $300 for top 5-Km performances, and special team awards for fastest clubs and schools! Afterwards, join us at Mo Dailey's Pub & Grille for refreshments, Chicago Full Moon Run awards, and a post-race celebration that's "second to none." Check out Race Results which we'll be posting in near real-time. Like race coverage? Click for our Run Report along with photos of the action! * June 10th, 2018... River Grove, IL: They're racing the roads of River Grove in the fifth annual River Grove Police FOP 5K. Check out Race Results which we'll be posting in near real-time. Race start is 8:30 am, near the intersection of Fullerton Avenue and River Road. The River Grove Police FOP Lodge #59 is a non for profit organization, which donates all proceeds back to the community through schools, PTA's, Little Leagues, and other charitable organizations. * June 2rd - 3rd, 2018... La Grange, WI: It's race weekend for the Kettle 100 Endurance Runs featuring events of 100-mile solo, 100-kilometer solo, 100-mile relay, 50-kilometer solo, and 38-mile solo fun run. Keep up with the action and track your favorite runners by clicking into our Race Webcast where we'll be updating checkpoints with participant times and positions. * May 20th, 2018... Kenilworth, IL: They're racing the streets on the north shore for the annual Kenilworth Memorial Day 3k/5K. Check out Race Results which we'll be posting in near real-time. This friendly and fast race starts at 10:30 am, near the Kenilworth Train Station. Lots of ribbons for participants, as well as awards to age group winners! * April 7th, 2018... Madison, WI: It's a new venue for this edition of the madness, Warner Park hosts the 12th annual MadCity Ultras featuring events of 100 Kilometers Solo, 50 Kilometers Solo, and 50 Kilometer Relay. Keep up with the action and track your favorite runners by clicking into our Webcast, and Results where we'll be updating checkpoints with participant times and positions. The MadCity 100 Kilometer will once again serve as USATF National Championship and will help determine "2018 Team USA," which will compete at the 2018 World Championship. Like action shots? Check out our Run Report with a gallery of photos captured of the weekend. * March 24th, 2018... Willow Springs, IL: Journey back in time for our sixth annual spring version of Paleozoic Trail Runs - Devonian Spring along forested, unpaved paths of the Palos Trail System - Region 6, featuring events of 50 kilometers and 25 kilometers. Registration is open until March 23rd -or- when 200 available spots are filled (whichever comes first). Can't join us on race day? No problem... we'll be updating runner progress through our Webcast and Results, which we'll be posting in near real-time. Click for our Run Report, complete with action photos! Paleozoic Trail Runs... Finish or Fossilize! * March 17th, 2018... McNabb, IL: Get your marathon-buds together and join forces for "A Great Team Event," as the Starved Rock Runners present 26.2 BY 5 TEAM MARATHON! This inaugural race features team members concurrently covering the 5.24-mile scenic racecourse near Putnam Country Junior High School. Can't join us on race day? No problem... we'll be updating runner progress through our Webcast and Results, which we'll be posting in near real-time. Click for our Run Report recap, complete with photos! * January 14th, 2018... Chicago, IL: Get your winter-teammates, grab your racing shoes/spikes, and join us for Winter Challenge Cross Country racing over the tree-lined fields of Caldwell Woods and Bunker Hill forest preserves. Our inaugural race features event distances of 5 kilometers, 15 kilometers, and our Gratuitous Six-Hour Run. Registration is open until 6:00 pm, Saturday January 13th. Can't join us on race day? No problem... we'll be updating runner progress through our Webcast and Results, which we'll be posting in near real-time. Click for our Run Report with photos from the day. Cross country... the best of all human endeavors! Your patience is requested as the rush for registration can unduly stress web services. We've implemented a number of changes to relieve congestion and improve the registration process including increasing capacity for all three events. But if you are unable to complete your registration when the time comes, don't panic! If you're unable to register due to processing delays, simply email the Race Director IMMEDIATELY and you'll be guaranteed an entry. Once event capacities are met, we cannot accept additional entries. * November 25th, 2017... Lindenhurst, IL: They're racing the roads in and around Millennium Park for Sharon Makes Us Run 5k. Check out Race Results which we'll be posting in near real-time. Race start is 11:30 am. This race is a celebration of Dr. Sharon B Gray's life, and proceeds will be directed to her favorite charities. * November 12th, 2017... Skokie, IL: They're taking to the course at Harms Woods for races of the Illinois Club XC Invitational, as hosted by the Evanston Running Club, and directed by John Hennelly. Events of 5-kilometer Women's Masters, Men's Masters, Women's Open, Men's Open will be contested with team bragging rights on the line. Check out Race Results, which include overall individual, and team scoring. For a race recap, complete with action photos, check out our Run Report. * November 11th, 2017... Palos Park, IL: Journey back in time for our fifth annual fall version of Paleozoic Trail Runs - Cambrian Fall along forested, unpaved paths of the Sag Valley Trail System - Region 7, featuring events of 50 kilometers and 25 kilometers. Registration is open until November 10th -or- when 200 available spots are filled (whichever comes first). Can't join us on race day? No problem... we'll be updating runner progress through our Webcast and Results, which we'll be posting in near real-time. Click for our Run Report complete with action photos! Paleozoic Trail Runs... Finish or Fossilize! * November 4th, 2017... Arlington Heights, IL: It's the inaugural running of Pairing up to Beat Lung Cancer 5K/1Mile Run/Walk, directed by Juli and Valdis Aistars. Check out Race Results which we'll be posting in near real-time. The 5K race starts at 8:30 am near "Runners High ‘n Tri" at the intersection of Campbell St and Highland Ave.
* October 21st, 2017... Chicago, IL: It's race morning for the 2017 IHSA 2A Regional Boys and Girls Cross Country Regional Meet, hosted by Prosser Career Academy on the racecourse of Hanson Park. Check out Race Results which we'll be posting in near real-time. Girls Varsity at 10:00 am, followed by Boys Varsity at 10:45 am CDT. * October 14th, 2017... Elmwood Park, IL: It's race day for the 2017 Metro Suburban Conference Red Cross Country Championship, hosted by Ridgewood High School - Norridge on the campus of Elmwood Park High School. Check out Race Results which we'll be posting in near real-time. Racing starts at 9:00 am CDT. Saturday October 14th, 8:30 am CDT: Attention... due to inclement weather the MSC Red Cross Country Championship has been postponed to Monday October 16th, 4:30 pm. The location remains the campus of Elmwood Park High School. * October 7th, 2017... Elmwood Park, IL: It's race morning for the 28th Annual Elmwood Park Cross Country Tiger Invite on the campus of Elmwood Park High School. Check out Race Results which we'll be posting in near real-time. Racing starts at 9:00 am CDT. * September 23rd, 2017... Park Ridge, IL: It's race morning for the 40th running of the Park Ridge Charity Classic. This annual must-do race of the CARA calander is directed by David Loomos and his army of volunteers. Check out Results, which we'll be posting in near real-time from the scorer's booth at the finish line! Click for our Run Report with photos from the roads. * September 17th, 2017... Arlington Heights, IL: It's race time at Arlington International Racecourse for the annual Starry Night 5K charity run. The evening will feature a 5-Km run, and 1-mile walk with its common finish on the racetrack, broadcast on the jumbotron! Fundraising to benefit the Pediatric Brain Tumor Foundation with post-race activities of a lantern lighting and local entertainment. Check out Results, which we'll be posting in near real-time from the scorer's booth, trackside at the finish line. * September 17th, 2017... Elmwood Park, IL: They're back on the roads for Elmwood Park's annual Tiger Tear 5k, sponsored by the Elmwood Park High School Booster Club. Check out Race Results which we'll be posting in near real-time. Race start is 9:00 am near the high school campus of Elmwood Park. * September 9th, 2017... Morton Grove, IL: Join up for primordial running, through forested trail and over green fields, full of fun & adventure but void of pavement at our 4th Annual Terra Sans Pave - Linne Woods, near the the North Branch Trail system of the Forest Preserve District of Cook County. Our fourth-year race features traditional event distances of 4-Kilometer, 8-Kilometer, and our Big Lizard 10-Mile runs. Returning for 2017... our Terathlon 8-Hour option for ultra-trail runners. Registration is open until noon, on September 9th. Can't join us on race day? No problem... we'll be updating runner progress through our Webcast and Results, which we'll be posting in near real-time. Click for our Run Report with photos from the trails. Terra Sans Pave... earthbound races in unpaved places! * September 2nd - 3rd, 2017... Lapham Peak State Park, WI: It's race weekend for the Badgerland Striders 24-12-6 Hour Runs featuring events of 24-hour solo, 12-hour solo, 6-hour solo on 1-mile loop. Keep up with the action and track your favorite runners by clicking into our Race Webcast where we'll be updating checkpoints as participants circle their trail loop. Events begin at 8:00 am on Saturday, and we'll post Results when "the clock ticks down to zero" for each distance. * August 23rd, 2017... Elmwood Park, IL: It's the 3rd Annual Elmwood Park Cross Country Trial on the Trail. Check out Race Results which we'll be posting in near real-time! * August 9th, 2017... Norwood Park, IL: It's our Sixth Annual Chicago Full Moon Run 5-Km and 1-Mile Lunar Orbit Run/Walk. Yep... we'll be racing in the streets under the full moon out among cicadas, crickets, and other creatures of the night. Our racecourse has been described as "fast," and "the most interesting 5-km in the city." Race time is just before sunset and the entire course will be illuminated by the full moon and city street lights. For 2017 we're offering a prize purse of $300 for top 5-Km performances! Afterward, join us at Mo Dailey's Pub & Grille for refreshments, Chicago Full Moon Run awards, and a post-race celebration that's "second to none." Check out Race Results which we'll be posting in near real-time. Like race coverage? Click for our Run Report along with photos of the action! * July 22nd, 2017... Auburn, IN: The kids will be taking to the pool, riding their bikes, and racing the path arond the YMCA in the annual Tri Kappa Kids' Triathlon. Check out Race Results which will be posted here on our RunRace Network. Racing starts at 8:30 am EDT, at the YMCA of DeKalb County. * June 11th, 2017... River Grove, IL: They're racing the roads of River Grove in the fifth annual River Grove Police FOP 5K. Check out Race Results which we'll be posting in near real-time. Race start is 8:30 am, near the intersection of Fullerton Avenue and River Road. The River Grove Police FOP Lodge #59 is a non for profit organization, which donates all proceeds back to the community through schools, PTA's, Little Leagues, and other charitable organizations. * June 3rd - 4th, 2017... La Grange, WI: It's race weekend for the Kettle 100 Endurance Runs featuring events of 100-mile solo, 100-kilometer solo, 100-mile relay, 50-kilometer solo, and 38-mile solo fun run. Keep up with the action and track your favorite runners by clicking into our Race Webcast where we'll be updating checkpoints with participant times and positions. * May 21st, 2017... Kenilworth, IL: They're racing the streets on the north shore for the annual Kenilworth Memorial Day 3k/5K. Check out Race Results which we'll be posting in near real-time. This friendly and fast race starts at 10:30 am, near the Kenilworth Train Station. Lot of ribbons for participants, as well as awards to age group winners! * April 8th, 2017... Madison, WI: Madness returns to the shores of Lake Wingra for the 11th annual MadCity Ultras featuring events of 100 Kilometers Solo, 50 Kilometers Solo, and 50 Kilometer Relay. Keep up with the action and track your favorite runners by clicking into our Webcast, and Results where we'll be updating checkpoints with participant times and positions. The MadCity 100 Kilometer will once again serve as USATF National Championship and will help determine "2017 Team USA," which will compete at the 2017 World Championship. Like action shots? Check out our Run Report with a gallery of photos captured near the finish area. * March 25th, 2017... Palos Park, IL: Journey back in time for our fifth annual spring version of Paleozoic Trail Runs - Carboniferous Spring along forested, unpaved paths of the Sag Valley Trail System - Region 7, featuring events of 50 kilometers and 25 kilometers. Registration is open until March 24th -or- when 200 available spots are filled (whichever comes first). Can't join us on race day? No problem... we'll be updating runner progress through our Webcast and Results, which we'll be posting in near real-time. Click for our Run Report complete with action photos! Paleozoic Trail Runs... Finish or Fossilize! Your patience is requested as the rush for registration can unduly stress web services. We've implemented a number of changes to relieve congestion and improve the registration process this year (including raising the cap on the 50-mile race), but if you are unable to complete your registration when the time comes, don't panic! If you're unable to register due to processing delays, simply email the Race Director IMMEDIATELY and you'll be guaranteed an entry. Once event capacities are met, we cannot accept additional entries. * November 26th, 2016... Lindenhurst, IL: They're racing the roads in and around Millennium Park for Sharon Makes Us Run 5k. Check out Race Results which we'll be posting in near real-time. Race start is 11:30 am. This race is a celebration of Dr. Sharon B Gray's life, and proceeds will be directed to her favorite charities. * November 13th, 2016... Skokie, IL: They're taking to the course at Harms Woods for races of the Illinois Club XC Invitational, as hosted by the Evanston Running Club. Events of 5-kilometer Women's Masters, Men's Masters, Women's Open, Men's Open will be contested with team bragging rights on the line. Check out Race Results, which include overall individual, and team scoring. * November 12th, 2016... Palos Park, IL: Journey back in time for our fourth annual fall version of Paleozoic Trail Runs - Silurian Fall along forested, unpaved paths of the Sag Valley Trail System - Region 7, featuring events of 50 kilometers and 25 kilometers. Registration is open until November 11th -or- when 150 available spots are filled (whichever comes first). Can't join us on race day? No problem... we'll be updating runner progress through our Webcast and Results, which we'll be posting in near real-time. Paleozoic Trail Runs... Finish or Fossilize! * October 15th, 2016... Lake County, IL: In its 7th year the Des Plaines River Trail Races remains a popular test of endurance among veteran distance runners. Featuring solo events of 50-Mile Ultramarathon, 26.2-Mile Marathon, and 13.1-Mile Half Marathon the DPR Trail Races have something for everyone. Keep up with the action and track your favorite runners by clicking into our Race Webcast where we'll be updating checkpoints with participant times and positions. Check out Race Results, which we'll be posting as runners make their finish line at Half Day Forest Preserve! * October 8th, 2016... Elmwood Park, IL: It's race morning for the 27th Annual Elmwood Park Cross Country Tiger Invite on the campus of Elmwood Park High School. Check out Race Results which we'll be posting in near real-time. Racing starts at 900 am CDT. * October 1st, 2016... Niles, IL: It's the 4th Annual Orchard Village Race to Embrace charity run with distances of 5K, and a 3K walk. Proceeds support residential, vocational, in-home, and transitional programs for individuals with developmental disabilities in the care of Orchard Village. Check out Results, which we'll be posting in near real-time from the finish line. * September 25th, 2016... Elmwood Park, IL: They're back on the roads for Elmwood Park's annual Tiger Tear 5k, sponsored by the Elmwood Park High School Booster Club. Check out Race Results which we'll be posting in near real-time. Race start is 9:00 am near the high school campus of Elmwood Park. * September 24th, 2016... Park Ridge, IL: It's race morning for the 39th running of the Park Ridge Charity Classic. This annual must-do race of the CARA calander is directed by David Loomos and his army of volunteers. Check out Results, which we'll be posting in near real-time from the scorer's booth at the finish line. * September 24th, 2016... Crown Point, IN: They're racing the roads in and around the Lake County Fairgrounds in the third annual Fleeing Felon 5k. Check out Race Results which we'll be posting in near real-time. Race start is 9:00 am. All proceeds from this race are donated to local charities. * September 18th, 2016... Arlington Heights, IL: It's race time at Arlington International Racecourse for the annual Starry Night 8.5 K charity run. The evening will feature a 28,000-step (8.5K) run/walk with its finish on the racetrack, broadcast on the jumbotron! Fundraising to benefit the Pediatric Brain Tumor Foundation with post-race activities of a lantern lighting and local entertainment. Check out Results, which we'll be posting in near real-time from the scorer's booth, trackside at the finish line. * September 10th, 2016... Morton Grove, IL: Join up for primordial running, through forested trail and over green fields, full of fun & adventure but void of pavement at our 3rd Annual Terra Sans Pave - Linne Woods, near the the North Branch Trail system of the Forest Preserve District of Cook County. Our third-year race features traditional event distances of 4-Kilometer, 8-Kilometer, and our Big Lizard 10-Mile runs. New for 2016... our Terathlon 8-Hour option for ultra-trail runners. Registration is open until noon, on September 9th. Can't join us on race day? No problem... we'll be updating runner progress through our Webcast and Results, which we'll be posting in near real-time. Click for our Run Report with photos from the trails. Terra Sans Pave... earthbound races in unpaved places! * September 3rd - 4th, 2016... Germantown, WI: It's race weekend for the Badgerland Striders 24-12-6 Hour Runs - 2016 featuring events of 24-hour solo, 12-hour solo, 6-hour solo on the 400 meter track. Keep up with the action and track your favorite runners by clicking into our Race Webcast where we'll be updating checkpoints as participants circle the track. Events begin at 8:00 am on Saturday, and we'll post Results when "the clock ticks down to zero" for each distance. * August 23rd, 2016... Elmwood Park, IL: It's the 2nd Annual Elmwood Park Cross Country Trial on the Trail. Check out Race Results which we'll be posting in near real-time! * July 20th, 2016... Norwood Park, IL: It's our 5th Annual Chicago Full Moon Run 5-Km and 1-Mile Lunar Orbit Run/Walk. Yep... we'll be racing in the streets under the full moon out among cicadas, crickets, and other creatures of the night. Our racecourse has been described as "fast," and "the most interesting 5-km in the city." Race time is just before sunset and the entire course will be illuminated by the full moon and city street lights. For 2016 we're offering a prize purse of $300 for top 5-Km performances! Afterward, join us at Mo Dailey's Pub & Grille for refreshments, Chicago Full Moon Run awards, and a post-race celebration that's "second to none." Check out Race Results which we'll be posting in near real-time. Like race coverage? Click for our Run Report along with photos of the action! * June 12th, 2016... River Grove, IL: They're racing the roads of River Grove in the fourth annual River Grove Police FOP 5K. Check out Race Results which we'll be posting in near real-time. Race start is 8:30 am, near the intersection of Fullerton Avenue and River Road. The River Grove Police FOP Lodge #59 is a non for profit organization, which donates all proceeds back to the community through schools, PTA's, Little Leagues, and other charitable organizations. * June 4th - 5th, 2016... La Grange, WI: It's race weekend for the Kettle 100 Endurance Runs featuring events of 100-mile solo, 100-kilometer solo, 100-mile relay, 50-kilometer solo, and 38-mile solo fun run. Keep up with the action and track your favorite runners by clicking into our Race Webcast where we'll be updating checkpoints with participant times and positions. * June 4th, 2016... Gladstone Park - Chicago, IL: It's race morning for The Debby Reese Memorial 3K Run/Walk. Proceeds from this race will be distributed equally between the schools of Hitch Elementary School and St. Tarcissus Elementary School, to help children in the Gladstone Park community. The run will be held in honor of the life and career of Deborah “Debby” Reese. Check out Race Results which we'll be posting in near real-time. * May 22nd, 2016... Kenilworth, IL: They're racing the streets on the north shore for the annual Kenilworth Memorial Day 3k/5K. Check out Race Results which we'll be posting in near real-time. This friendly and fast race starts at 10:30 am, near the Kenilworth Train Station. Lot of ribbons for participants, as well as awards to age group winners! * April 9th, 2016... Madison, WI: Madness returns to the shores of Lake Wingra for the 10th annual MadCity Ultras featuring events of 100 Kilometers Solo, 50 Kilometers Solo, and 50 Kilometer Relay. Keep up with the action and track your favorite runners by clicking into our Webcast, and Results where we'll be updating checkpoints with participant times and positions. The MadCity 100 Kilometer will once again serve as USATF National Championship and will help determine "2016 Team USA," which will compete at the 2016 World Championship. * March 26th, 2016... Willow Springs, IL: Journey back in time for our fourth annual spring version of Paleozoic Trail Runs - Silurian Spring along forested, unpaved paths of the Palos Trail System - Region 6, featuring events of 50 kilometers and 25 kilometers. Registration is open until March 25th -or- when 180 available spots are filled (whichever comes first). Can't join us on race day? No problem... we'll be updating runner progress through our Webcast and Results, which we'll be posting in near real-time. Click for our Run Report complete with action photos! Paleozoic Trail Runs... Finish or Fossilize! * March 13th, 2016... Staggered registration set to open: Race registration for events of the Oil Creek 100 Trail Runs will open in several registration windows each day, at various times for short durations of perhaps 5 or 10 minutes. Race director, Tom Jennings is taking this approach to give all interested runners a fair chance at registration and a spot on the starting line, this October 8th, 2016 at the Eighth Annual Oil Creek 100 Trail Runs - Titusville, Pennsylvania. 4:00 pm CST :: Ice Age Trail 50 Kilometer :: Two hours later than previously set. 8:00 pm CST :: Ice Age Trail Half Marathon :: Four hours later than previously set. Apologies for any inconvenience caused by these scheduling changes. * December 13th, 2015... Registration set to open: Race registration for events of the 2016 Ice Age Trail 50 will open at noon, Sunday December 13, 2015 CST, and is scheduled to run through April 30th, 2016 (but will close earlier if capacities are met). Race director Jeff Mallach encourages your timely registration, and hopes you will "join us in May!" Check out our Ice Age Trail 50 Group for galleries of photo albums as posted by John Zinzow (ultrarunner and past RD of IAT 50). * November 15th, 2015... Skokie, IL: They're taking to the course at Harms Woods for races of the Illinois Club XC Invitational, as hosted by the Evanston Running Club. Events of 5-kilometer Women's Masters, Men's Masters, Women's Open, Men's Open will be contested with team bragging rights on the line. Check out Race Results, which include overall individual, and team scoring. * November 14th, 2015... Palos Park, IL: Journey back in time for our fall version of Paleozoic Trail Runs - Permian Fall along forested, unpaved paths of the Palos Trail System - Region 6, featuring events of 50 kilometers and 25 kilometers. Registration is open until November 13th -or- when 160 available spots are filled (whichever comes first). Can't join us on race day? No problem... we'll be updating runner progress through our Webcast and Results, which we'll be posting in near real-time. Click for our Run Report complete with action photos! Paleozoic Trail Runs... Finish or Fossilize! * October 24th, 2015... Elmwood Park, IL: It's race morning for the IHSA 2A Boys/Girls Regional Meet hosted by Elmwood Park High School. Check out Race Results which we'll be posting in near real-time. Racing starts at 10:00 am CDT. * October 17th, 2015... Lake County, IL: In its 6th year the Des Plaines River Trail Races has become a popular test of endurance among veteran distance runners. Featuring solo events of 50-Mile Ultramarathon, 26.2-Mile Marathon, and 13.1-Mile Half Marathon the DPR Trail Races have something for everyone looking to "go the distance." Keep up with the action and track your favorite runners by clicking into our Race Webcast where we'll be updating checkpoints with participant times and positions. Check out Race Results, which we'll be posting as runners make their finish line! * October 10th, 2015... Elmwood Park, IL: It's race morning for the 26th Annual Elmwood Park Cross Country Invitational on the campus of Elmwood Park High School. Check out Race Results which we'll be posting in near real-time. Racing starts at 9:00 am CDT. * October 3rd, 2015... Park Ridge, IL: It's race evening for the third annual running of MSW Light Up the Night 5K. Check out Race Results which we'll be posting in near real-time. This wildly popular 5 kilometer road run has a starting time of 6:30 pm, near the parish of Mary, Seat of Wisdom School on Clifton Avenue. The racecourse will wind through glowing streets of the community, then back to the finish near Mary, Seat of Wisdom. * September 26th, 2015... Crown Point, IN: They're racing the roads in and around the Lake County Fairgrounds in the second annual Fleeing Felon 5k. Check out Race Results which we'll be posting in near real-time. Race start is 9:00 am. All proceeds from this race are donated to local charities. Click for our Run Report along with photos of the action! * September 20th, 2015... Elmwood Park, IL: They're racing the roads in Elmwood Park's annual Tiger Tear 5k, sponsored by the Elmwood Park High School Booster Club. Check out Race Results which we'll be posting in near real-time. Race start is 9:00 am near the high school campus of Elmwood Park. Click for our Run Report with photos of the action! * September 19th, 2014... Glenview, IL: Come join us for primordial running, through forested trail and over green fields, full of fun & adventure but void of pavement at Terra Sans Pave - Blue Star, near the the North Branch Trail system of the Forest Preserve District of Cook County. Our second-year race features events of 10 miles, 8 kilometers, and 4 kilometers. Registration is open until September 18th. Can't join us on race day? No problem... we'll be updating runner progress through our Webcast and Results, which we'll be posting in near real-time. Click for our Run Report with photos from the trails. Terra Sans Pave... earthbound races in unpaved places! * September 5th - 6th, 2015... Germantown, WI: It's race weekend for the Badgerland Striders 24-12-6 Hour Runs - 2015 featuring events of 24-hour solo, 12-hour solo, 6-hour solo on the 400 meter track. Keep up with the action and track your favorite runners by clicking into our Race Webcast where we'll be updating checkpoints as participants circle the track. Events begin at 8:00 am on Saturday, and we'll post Results when "the clock ticks down to zero" for each distance. Click for our Run Report with action photos from Germantown Warhawks - Datka Stadium. * July 29th, 2015... Norwood Park, IL: It's our 4th Annual Chicago Full Moon Run 5-Km and 1-Mile Lunar Orbit Run/Walk. Yep... we'll be racing in the streets under the full moon out among cicadas, crickets, and other creatures of the night. Our racecourse has been described as "fast," and "the most interesting 5-km in the city." Race time is just before sunset and the entire course will be illuminated by the full moon and city street lights. For 2015 we're offering a prize purse of $300 for top 5-Km performances! Afterward, join us at Mo Dailey's Pub & Grille for refreshments, Chicago Full Moon Run awards, and a post-race celebration that's "second to none." Check out Race Results which we'll be posting in near real-time. Like race coverage? Click for our Run Report along with photos of the action! * July 11th, 2015... Peoria, IL: It's race day for the inaugural running of Cry Me A River! Trail Runs, featuring distances of 50 miles, Half Marathon, and 5 miles. Check out Race Results as scored and provided by River City Race Management, LLC. * June 20th, 2015... Chicago, IL: It's race morning for The Debby Reese Memorial 3K Run/Walk. Proceeds from this race will be distributed equally between the schools of Hitch Elementary School and St. Tarcissus Elementary School, to help children in the Gladstone Park community. The run will be held in honor of the life and career of Deborah “Debby” Reese. Check out Race Results which we'll be posting in near real-time. * June 14th, 2015... River Grove, IL: They're racing the roads of River Grove in the third annual River Grove Police FOP 5K. Check out Race Results which we'll be posting in near real-time. Race start is 8:30 am, near the intersection of Fullerton Avenue and River Road. The River Grove Police FOP Lodge #59 is a non for profit organization, which donates all proceeds back to the community through schools, PTA's, Little Leagues, and other charitable organizations. 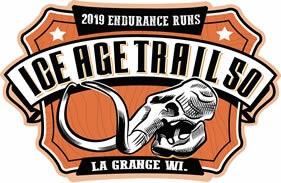 * June 6th - 7th, 2015... La Grange, WI: It's race weekend for the Kettle 100 Endurance Runs featuring events of 100-mile solo, 100-kilometer solo, 100-mile relay, 50-kilometer solo, and 38-mile solo fun run. Keep up with the action and track your favorite runners by clicking into our Race Webcast where we'll be updating checkpoints with participant times and positions. Click for our Run Report with action photos from the trail. * May 17th, 2015... Kenilworth, IL: They're racing the streets on the north shore for the annual Kenilworth Memorial Day 3k/5K. Check out Race Results which we'll be posting in near real-time. This friendly and fast race starts at 10:30 am, near the Kenilworth Train Station. Lot of ribbons for participants, as well as awards to age group winners! * May 16th, 2015... Bunker Hill - Niles, IL: It's race morning for the 3rd annual running of the Immaculate Conception Cowboy Stampede 5K, and Pony Gallop 1K. Check out Race Results which we'll be posting in near real-time. This fun 5 kilometer race has a start time of 9:00 am, on the forest preserve paths of Bunker Hill. As for the ponies... they'll be galloping the trails with a start time of 10:00 am. * April 25th, 2015... Crown Point, IN: It's race morning for the running of NWI Nurses Against Domestic Violence 5K. Check out Race Results which we'll be posting in near real-time. This annual charity road race has a start time of 9:30 am, at the beautiful Lake County Fairgrounds. Awards for overall male/female winners, as well as to age group winners. * April 11th, 2015... Madison, WI: Madness returns to the shores of Lake Wingra for the 9th annual MadCity Ultras featuring events of 100 Kilometers Solo, 50 Kilometers Solo, and 50 Kilometer Relay. Keep up with the action and track your favorite runners by clicking into our Webcast, and Results where we'll be updating checkpoints with participant times and positions. The MadCity 100 Kilometer will once again serve as USATF National Championship and will help determine "2015 Team USA," which will compete at the 2015 World Championship. Like action shots? Check out our Run Report with a gallery of photos captured near the finish area. * March 28th, 2015... Palos Park, IL: Journey back in time for our spring version of Paleozoic Trail Runs - Ordovician Spring along forested, unpaved paths of the Sag Valley Trail System - Region 7, featuring events of 50 kilometers and 25 kilometers. Registration is open until March 27th -or- when 150 available spots are filled (whichever comes first). Can't join us on race day? No problem... we'll be updating runner progress through our Webcast and Results, which we'll be posting in near real-time. Click for our Run Report complete with action photos! Paleozoic Trail Runs... "finish or fossilize!" * November 15th, 2014... Willow Springs, IL: Journey back in time for our fall version of Paleozoic Trail Runs - Devonian Fall along forested, unpaved paths of the Palos Trail System - Region 6, featuring events of 50 kilometers and 25 kilometers. Registration is open until November 14th -or- when 150 available spots are filled (whichever comes first). Can't join us on race day? No problem... we'll be updating runner progress through our Webcast and Results, which we'll be posting in near real-time. Click for our Run Report complete with action photos! Paleozoic Trail Runs... "finish or fossilize!" * March 7th, 2015... La Crosse, WI: It's the 6th Annual Coulee Chase fun run sponsored by the UW-L Athletic Trainer's Association and in collaboration with La Crosse Parks and Recreation. Events of 5 kilometers and 3 kilometers are featured for humans and "their best friends!" Check out Race Results. For a race recap click into their posted Run Report. * November 9th, 2014... Skokie, IL: They're taking to the course at Harms Woods for races of the Illinois Club XC Invitational, as hosted by the Evanston Running Club. Events of 5-kilometer Women's Masters, Men's Masters, Women's Open, Men's Open will be contested with team bragging rights on the line. Check out Race Results, which include overall individual, and team scoring. For a race recap, complete with action photos, check out our Run Report. * October 19th, 2014... Elmwood Park, IL: They're racing the roads in celebration of Elmwood Park's centennial at the annual Tiger Tear 5k. Check out Race Results which we'll be posting in near real-time. Race start is 9:00 am near the High School of Elmwood Park. Click for our Run Report, by Rich Limacher, along with photos of the action! * October 18th, 2014... Lake County, IL: In its 5th year the Des Plaines River Trail Races has become a popular test of endurance among veteran distance runners. Featuring solo events of 50-Mile Ultramarathon, 26.2-Mile Marathon, and 13.1-Mile Half Marathon the DPR Trail Races have something for everyone looking to "go the distance." Keep up with the action and track your favorite runners by clicking into our Race Webcast where we'll be updating checkpoints with participant times and positions. Check out Race Results, which we'll be posting as runners make their finish line! For a race recap with a gallery of images from the Start / Finish area please check out our Run Report. * October 12th, 2014... Merrillville, IN: It's race morning for the 2nd Annual Hoosier Burn Camp 5K Run. Check out Race Results which we'll be posting from the finish line in near real-time. This friendly charity road race, sponsored by the Merrillville Fire Department, starts at 10:00 am at Merrillville High School. Click for our Run Report with photos of the action! Our 2015 MSW Light Up the Night date is set for Saturday October 3rd... click for 2015 Race Detail. * October 4th, 2014... Park Ridge, IL: It's race evening for the second annual running of MSW Light Up the Night 5K. Check out Race Results which we'll be posting in near real-time. This wildly popular 5 kilometer road run has a starting time of 6:30 pm, near the parish of Mary, Seat of Wisdom School on Clifton Avenue. The racecourse will wind through glowing streets of the community, then back to the finish near Mary, Seat of Wisdom. Run Report Click for our Run Report, complete with a gallery of photos from the finish line! * September 28th, 2014... Wilmette, IL: It's race morning for the 11th Annual SFX Run for Haiti 5K & 1M Kids' Run. Check out Race Results which we'll be posting in near real-time. Activities start with the 5 kilometer featured event at 8:00 am, followed by the 1 Mile Kids' Run at 9:00 am. The 5 kilometer featured event will be chip-timed. Start and finish area is nearby the intersection of 9th Street and Greenleaf Avenue, in the vicinity of St. Francis Xavier School. Click for our Run Report with photos of the action! * September 27th, 2014... Park Ridge, IL: It's race morning for the 37th running of the Park Ridge Charity Classic. This annual must-do race of the CARA calander is directed by Dave Loomos and his army of volunteers. Click for our Run Report with an extensive gallery of photos. Check out Results as managed by the finish-line team of DRKomputing, Inc.
* September 20th, 2014... River Forest, IL: It's race morning for the 3rd annual running of the SVF Friar 5K, and SVF 1 Mile Fun Run. Check out Race Results which we'll be posting in near real-time. Activities start with the 1 Mile Fun Run at 8:00 am, followed by the 5 Kilometer featured event at 8:30 am. The 5 Kilometer featured event will be chip-timed. Start and finish area is on Le Moyne Parkway just west of Jackson Avenue, near the St. Vincent Ferrer Parish School, 1515 N. Lathrop Avenue. * September 20th, 2014... Crown Point, IN: They're racing the roads in and around the Lake County Fairgrounds in the inaugural Fleeing Felon 5k. Check out Race Results which we'll be posting in near real-time. Race start is 9:00 am. All proceeds from this race are donated to local charities. Click for our Run Report along with photos of the action! * September 13th, 2014... Morton Grove, IL: Come join us for primordial running, through forested trail and over green fields, full of fun & adventure but void of pavement at Terra Sans Pave - Linne Woods, near the the North Branch Trail system of the Forest Preserve District of Cook County. This inaugural race features events of 8 kilometers and 4 kilometers. Registration is open until September 12th. Can't join us on race day? No problem... we'll be updating runner progress through our Webcast and Results, which we'll be posting in near real-time. Click for our Run Report with photos from the trails. Terra Sans Pave... earthbound races in unpaved places! * August 30th - 31st, 2014... Germantown, WI: It's race weekend for the Badgerland Striders 24-12-6 Hour Runs - 2014 featuring events of 24-hour solo, 12-hour solo, 6-hour solo on the 400 meter track. Keep up with the action and track your favorite runners by clicking into our Race Webcast where we'll be updating checkpoints as participants circle the track. Events begin at 8:00 am on Saturday, and we'll post Results when "the clock ticks down to zero" for each distance. Click for our Run Report with action photos from Germantown Warhawks - Datka Stadium. * August 19th, 2014... Elk Grove Village, IL: They'll be racing in the new pool, on their bikes, then on foot at The Elk Grove Duathlon Challenge. Presented by the Elk Grove Park District, this annual community race is fun for the whole family featuring events of the Super Sprint Tri 12.8 Km for adults, along with kids events of Kids Fun Tri : Age 11 - 13 : 6.5 Km and Kids Fun Tri : Age 7 - 10 : 2.85 Km. Check out Race Results which we'll be posting near real-time as athletes make their finish line at Disney Park. Waves begin at 7:00 am. * Wednesday August 6th, 2014... Norwood Park - Chicago, IL: It's our 3rd Annual Chicago Full Moon Run 5-Km and 1-Mile Run/Walk. Yep... we'll be racing in the streets under the full moon out among cicadas, crickets, and other creatures of the night. Our racecourse has been described as "fast," and "the most interesting 5-km in the city." Race time is just before sunset and the entire course will be illuminated by the full moon and city street lights. For 2014 we're offering a prize purse of $200 for top 5-Km performances! Afterward, join us at Mo Dailey's Pub & Grille for refreshments, Chicago Full Moon Run awards, and a post-race celebration that's "second to none." Find out more and register by clicking into Race Registration. Check out Race Results, which we'll be posting in near-real time. Click for our 2014 Run Report with more tnan 200 photos of the action under the supermoon. * August 3rd, 2014... Crown Point, IN: It's race morning for the annual Fleet Feet Run Dirty 5k & 10K run through the trails of Lemon Lake County Park. Check out Race Results which we'll be posting from the finish line in near real-time. Both races start at 8:00 am. Depending on the weather... you may get a lil’ dirty... plan accordingly! Click for our 2014 Run Report as posted by Rich Limacher - The Troubadour, with photos from the finish line. * June 14th, 2014... Chicago, IL: It's race morning for The Debby Reese Memorial 3K Run/Walk. Proceeds from this race will be distributed equally between the schools of Hitch Elementary School and St. Tarcissus Elementary School, to help children in the Gladstone Park community. The run will be held in honor of the life and career of Deborah “Debby” Reese. Check out Race Results which we'll be posting in near real-time. Like race coverage? Click for our Run Report along with photos of the action! * June 7th - 8th, 2014... La Grange, WI: It's race weekend for the Kettle 100 Endurance Runs - 2014 featuring events of 100-mile solo, 100-kilometer solo, 100-mile relay, 50-kilometer solo, and 38-mile solo fun run. Keep up with the action and track your favorite runners by clicking into our Race Webcast where we'll be updating checkpoints with participant times and positions. Click for our Run Report with action photos from the trail. * June 1st, 2014... River Grove, IL: They're racing the roads of River Grove in the second annual River Grove Police FOP 5K. Check out Race Results which we'll be posting in near real-time. Race start is 8:30 am, near the intersection of Fullerton Avenue and River Road. The River Grove Police FOP Lodge #59 is a non for profit organization, which donates all proceeds back to the community through schools, PTA's, Little Leagues, and other charitable organizations. Click for our Run Report along with photos of the action! * May 18th, 2014... Kenilworth, IL: They're racing the streets on the north shore for the annual Kenilworth Memorial Day 3k/5K. Check out Race Results which we'll be posting in near real-time. This friendly and fast race starts at 10:30 am, near the Kenilworth Train Station. Lot of ribbons for participants, as well as awards to age group winners! * May 17th, 2014... Crown Point, IN: It's race morning for the Crown Brewing / Fleet Feet running of Crownfest 5K. Check out Race Results which we'll be posting in near real-time. This beautiful, yet challenging 5k has a start time of 12:00 noon, at the bustling Lake County Fairgrounds. Awards for overall male/female winners, as well as to age group winners. Click for our Run Report along with photos of the action as authored by finish-line manager Rich Limacher, "The Troubadour"! * April 26th & 27th, 2014... Albion, IN: They're taking to the trails at Chain O' Lakes State Park in Albion, Indiana for the 2nd Annual Indiana Trail 100, featuring events of 100 miles and 50 miles. Can't join us in person, on race day? No problem... we'll be broadcasting updates of runner progress through our Webcast and near real-time Results. * April 12th, 2014... Madison, WI: Madness returns to the shores of Lake Wingra for the 8th annual MadCity Ultras featuring events of 100 Kilometers Solo, 50 Kilometers Solo, and 50 Kilometer Relay. Keep up with the action and track your favorite runners by clicking into our Race Webcast, and Race Results where we'll be updating checkpoints with participant times and positions. The MadCity 100 Kilometer will once again serve as USATF National Championship and will help determine "2014 Team USA," which will compete at the 2014 World Championship. * April 12th, 2014... Hammond, IN: It's race morning for the 5th annual running of the Hammond Charity Run. Check out Race Results which we'll be posting in near real-time. This annual charity 10-Km & 5-Km road race has a start time of 8:30 am, at the Hammond Civic Center, and winds runners through the scenic community. * March 22nd, 2014... Palos Park, IL: Journey back in time for our spring version of Paleozoic Trail Runs - Cambrian Spring along forested, unpaved paths of the Palos Trail System - Region 7, featuring events of 50 kilometers and 25 kilometers. Registration is open until March 21st -or- when 150 available spots are filled (whichever comes first). Can't join us on race day? No problem... we'll be updating runner progress through our Webcast and Results, which we'll be posting in near real-time. Click for our Run Report complete with action photos! Paleozoic Trail Runs... "finish or fossilize!" * December 28th, 2013... Matteson, IL: It's race morning for the 3rd annual running of the Dash Into the New Year 5k. Check out Race Results which we'll be posting in near real-time. This holiday 5 kilometer race has a start time of 8:00 am, at the Matteson Community Center Campus and will take you through the community. Awards in 5-year age groups. Click for our Run Report with photos of the action as authored by finish-line manager Rich Limacher, "The Troubadour"! * September 22nd, 2013... Portage, IN: It's race morning for Crazy Legs Race Series Crazy Legs 13.1 Trail Half Marathon, run among the trails of Imagnation Glen Park. Check out Race Results which we'll be posting from the finish line in near real-time. Racing starts at 7:00 am CDT. Crazy Legs Race Series: promoting non-pavement races, on fun and challenging courses in Northwest Indiana! Click for our Run Report with photos of the action. * September 15th, 2013... Chicago, IL: A small collection of intrepid runners donned their kilts and took to the roads, ignoring the persistent rain, and raced in the 4th Annual Chicago Kilt Run. Check out Race Results which were be posted immediately following this charity event, with portion of proceeds benefiting the Chicago Police Memorial Foundation. * July 25th, 2013... Madison, WI: It's race evening for the annual running of Movin' Shoes Full Moon 5k & Kids' Run. Check out Race Results which we'll be posting under the full moon in near real-time. The scenic 5K race starts at 9:00 pm near the shores of Monona Bay at Olin Park. * May 18th, 2013... Norwood Park - Chicago, IL: It's race morning for the 1st annual running of the Immaculate Conception Cowboy Stampede 5K, and Pony Gallop 1K. Check out Race Results which we'll be posting in near real-time. This fun, new 5 kilometer race has a start time of 8:00 am, near the parish of Immaculate Conception School on West Talcott Avenue, and will wind you through the community. As for the ponies... they'll be galloping the nearby roads with a start time of 9:00 am. Click for our Run Report with photos of the action! * May 4th, 2013... Whitewater, WI: It's race morning for the inaugural running of Book It! 5k and Fun Run. Check out Race Results which we'll be posting in near real-time. This great new race is a fund raiser for the Whitewater library. Click for our Run Report with a few photos of the action! * April 21st, 2013... Angola, IN: It's race morning for the annual running of Fourever Friends 4-Miler. Check out Race Results which we'll be posting in near real-time. This family-fun 4 mile race has a start time of 2:00 pm, and follows a challenging course through the community. 5-year age divisions. Click for our Run Report with a few photos of the action! * October 27th, 2012... Norwood Park - Chicago, IL: It's the 7th Annual Going in Circles 5-Km Run / Walk and 1-Mile Kids Run. Our course is picturesque, spectator friendly, flat and fast with no sharp turns. For 2012 we're offering a prize purse of $820 for top 5-Km performances! Join us for this fantastic neighborhood event and post-race celebration with an expanded raffle open to all participants. Find out more and register by clicking into Race Registration. Check out Race Results, which we'll be posting in near-real time. Click for a race recap with a gallery of photos in our Run Report. * October 13th - 14th, 2012... Titusville, PA: It's race weekend for the Oil Creek 100 Trail Run - 2012 featuring events of 100 Miles, 100 Kilometers, and 50 Kilometers. Keep up with the action and track your favorite runners by clicking into our Race Webcast where we'll be updating checkpoints with participant times and positions. Like photos? Click for Webcast Report with photos from the race, and The Troubadour's Photocast with even more photos! 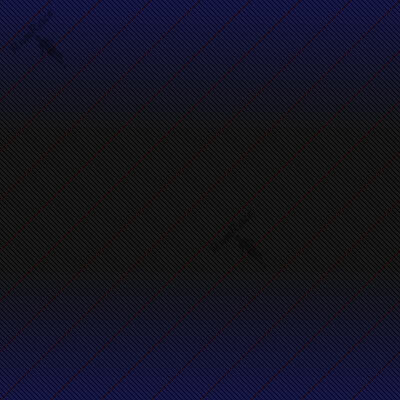 Welcome... you're at the website of RunRace. It is the purpose of this website to provide the running community a great resource to connect and stay connected. Runners... Search for your next race through our Find a Race link. Currently there are 164 upcoming races posted in our dynamic listing. Races are constantly being posted so check in often! Race Directors... Announce your race through our Post a Race link. It's quick, easy, and there is absolutely no charge to post your race. To date we've had over 7277 races announced through our website. Eager runners review the listings daily so make sure that your race is listed! Did you know... you may register with the website of RunRace. Registration has it's privileges - and we're building many - including group activities, running logs, and an interactive message / photo board. Find out more by clicking our User Log In link, then our User Registration tab. Get support... Need a little help? Check out our How it Works webpage by clicking its link in the left-hand column. Make contact... Need to reach us? You can reach us quickly by clicking our Contact Us link in the left-hand column. Shuffle with us... Got a photo that you'd like to share with our Random Image Shuffle (at right)? Just email us and we'll include it. Be sure to provide a description of your photo, copyright info. Then watch as your photo will randomly display!